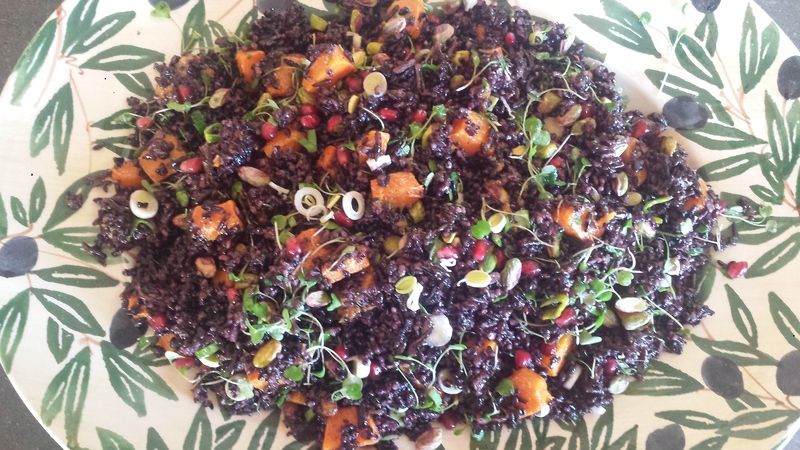 I love forbidden rice, pretty much any way I’ve ever had it, but have to admit that this recipe from Bon Appetite (January, 2014) is simply the best. I decided to try it because the photo in the magazine was just so beautiful, but as I was making it, I thought some of the ingredients (like pomegranate seeds and microgreens) seemed out of place so I was tempted to leave them out. I’m glad I didn’t because every ingredient adds another unique burst of flavor. I tasted the dish both with the honey, vinegar dressing and without. Both ways are good but the dressing makes it taste a bit more like a salad rather than a main course. I did not have pistachios so substituted pepitos (shelled pumpkin seeds) which tasted great. 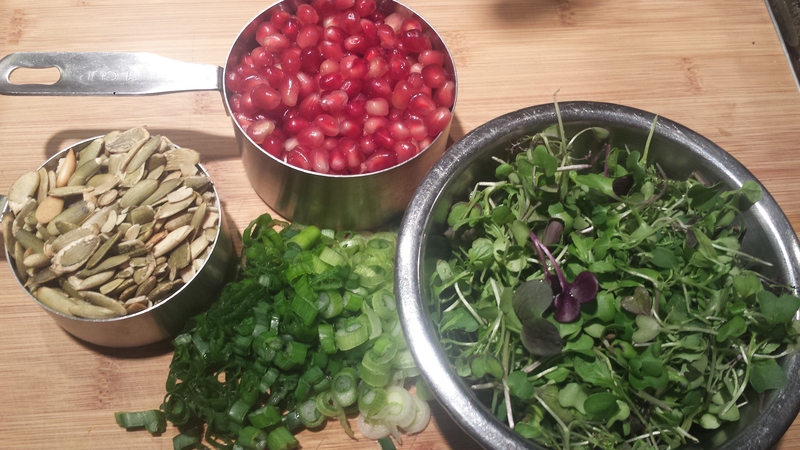 You can also substitute sprouts or fresh herbs like cilantro or parsley for the microgreens. This dish is meant to be served at room temperature which makes it perfect to bring to a party or for a buffet. 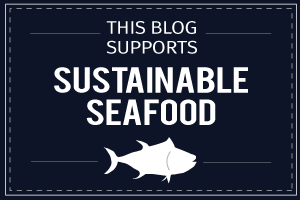 Sometimes its nice to have a fuss free meal that doesn’t have to be served piping hot. You can make it ahead and chill it in the refrigerator (without the microgreens). Just bring it to room temperature, add the greens and toss. 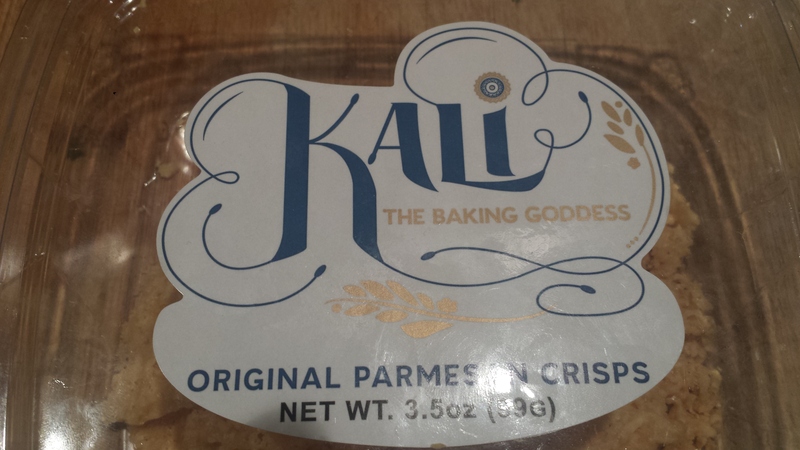 I was inspired to make a Caesar salad when I saw a package of Kali Parmesan Crisps in Whole Foods. They add a delicious salty crunch in place of croutons. I looked up the recipe out of curiosity. Its only finely shredded parmesan cheese, spread into circles and baked for 5 minutes. Next time I will make them at home. Cook black rice and wild rice in a large pot of boiling water with about 4 cups vegetable broth or salted water about 35 minutes or until tender. Remove from pot into a large bowl. Preheat oven to 450. 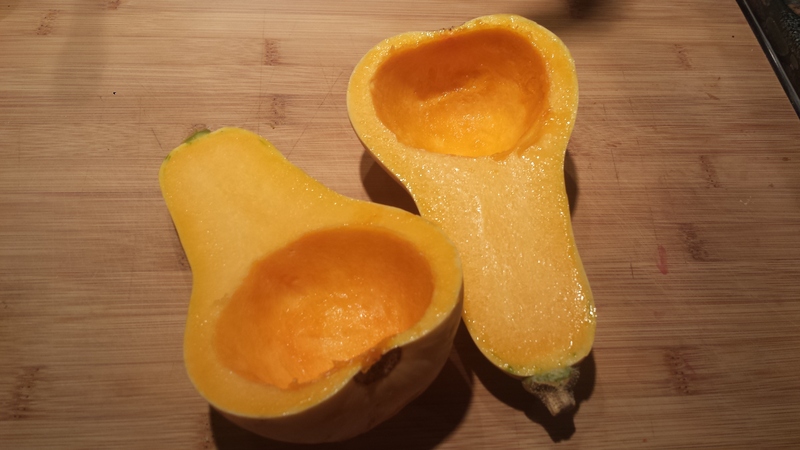 Half, seed and peel the squash and cut into cubes. I found a small squash so used the whole thing. 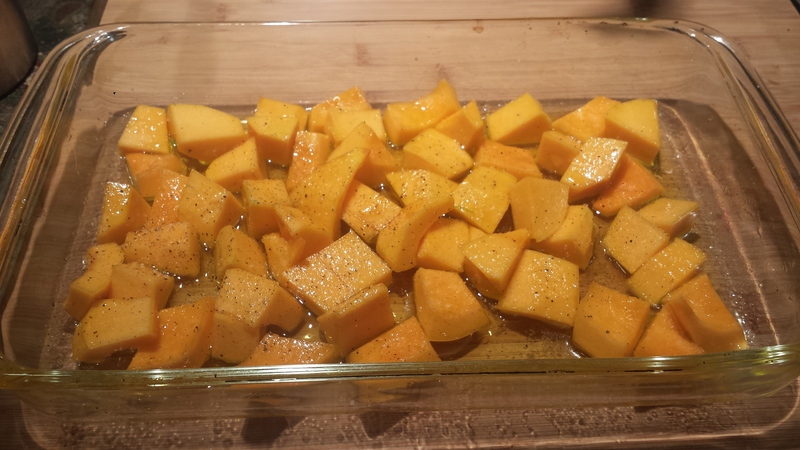 Place squash cubes in a baking dish and toss with 1/4 cup olive oil. Season with salt and pepper. Roast squash 20 to 25 minutes, stirring a couple of times. Remove from heat and let cool. Whisk vinegar, honey and 1/4 cup oil in a large bowl. 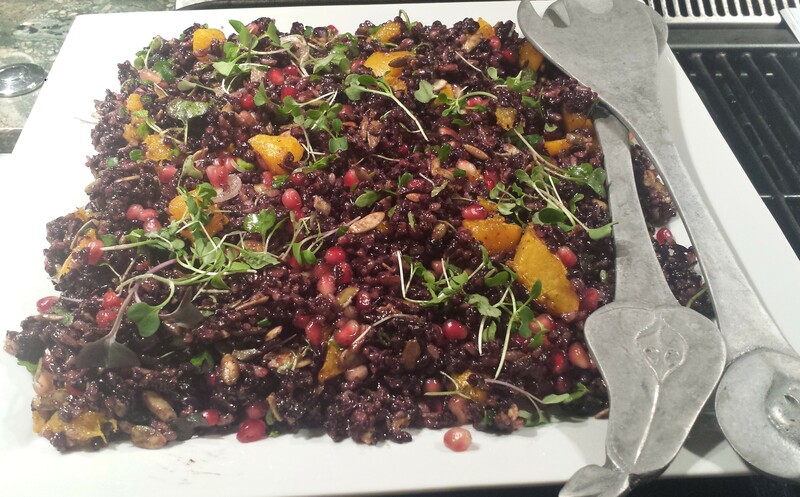 Add rice, squash, pomegranate, microgreens and pistachios; toss to combine. Arrange vegetables in a bowl and toss with dressing. 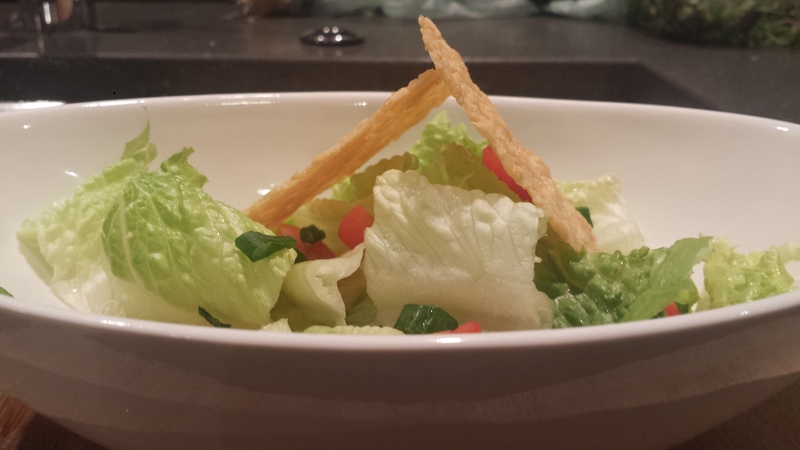 Top with crisps. Dressing: Mix all ingredients in a blender or food processor.